The Town of Warwick in Orange County, New York was formed by act of the State Legislature on March 7, 1788. 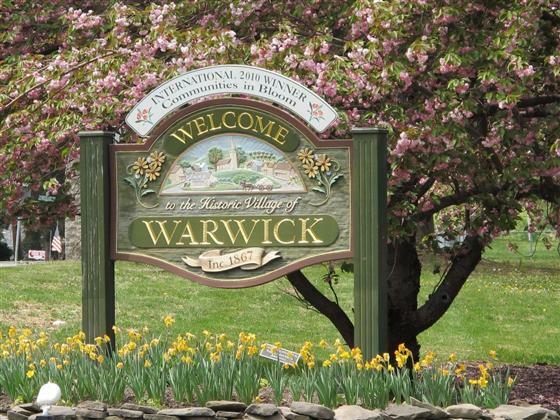 The name “Warwick” was first applied before 1719 to a farm of thousands of acres covering much of this area; and the designation became so well-known that it was natural to give it to the town when it was created and also to the village which grew up around the crossroads near the center of the town. From earliest colonial times, a well-traveled route passed through Warwick. The King’s Highway came up the valley from Pennsylvania and New Jersey and led northeastward to the settlements along the Hudson River and thence to New England. When the Warwick Valley Railroad in 1860, and the Lehigh and Hudson River Railway later, followed the same general route, the location of the offices in the village of Warwick encouraged the growth of that community as a business center. Wisner and Lake were established as station stops on the railroad; and the whole town benefited from the freight and passenger service provided by it.Greenwood Lake became well-known to hunters and fishermen and evolved into a popular resort and recreation area. 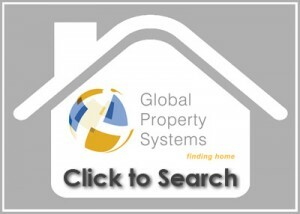 There are now three incorporated villages – Warwick (1867), Greenwood Lake (1924) and Florida (1946) – within the boundaries of the Town of Warwick. The town of Warwick is today a vibrant, busy rural community, offering residents all modern amenities and services. 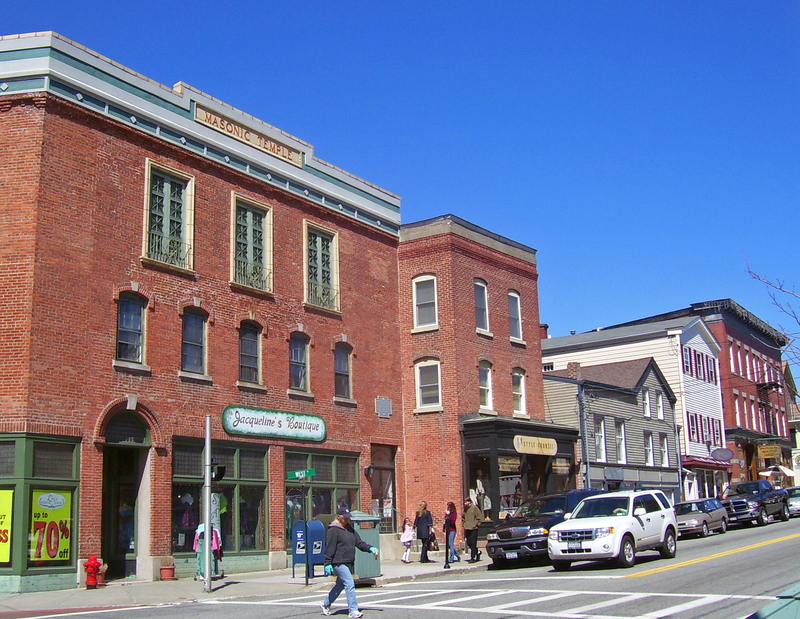 At the heart of the town is its retail community centered around a charming main street. Most of the retailers are independent owners and entrepreneurs, serving their customers with a personal touch. Cultural life in Warwick is also thriving. Summer is packed with concerts, events and festivals. Theater arts and cinema are also represented by area community theaters and performing groups. 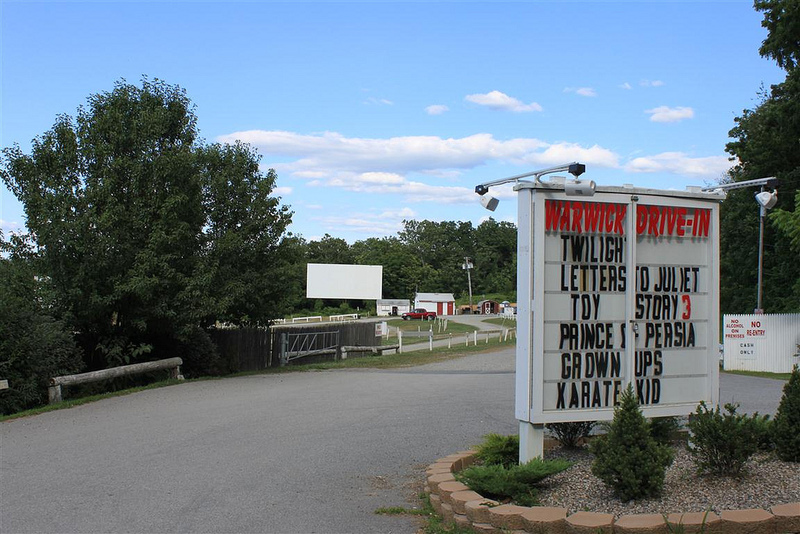 Warwick is home to one of the last outdoor cinemas, the Warwick Drive In. Owned and operated by the same family for over 30 years, the drive-in shows double features on three screens throughout the summer. Warwick is also home to numerous historically significant buildings, museums and places. The Shingle House, the first home built in Warwick in 1764 still stands on Forester Street. Other buildings on the National Register of Historic Places include the 1810 House, a classic 19th century “salt box,” the Old School Baptist Meeting House on High and Church Streets, the AsariahKetchum house and the Francis Baird Tavern. 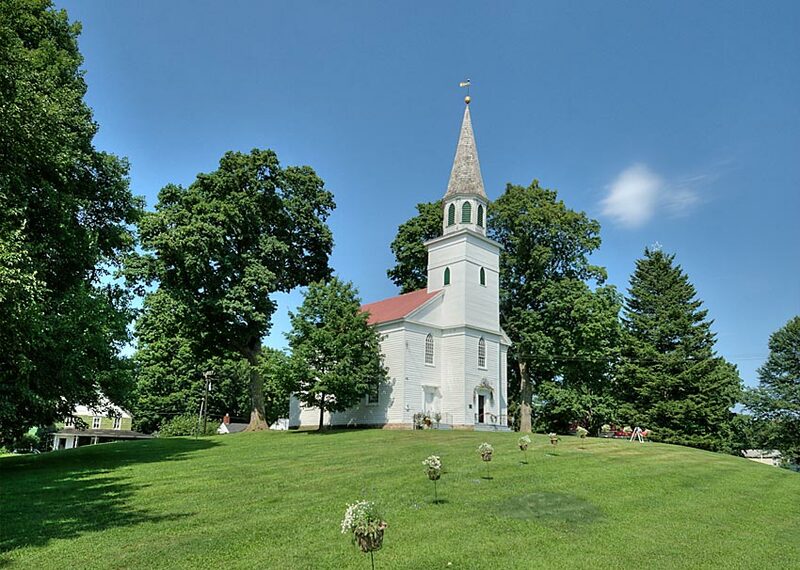 Tours of many of the area’s historic places are conducted by the Warwick Historical Society during July and August each year. Warwick is just over an hour from the George Washington Bridge in New York City, via the New York State Thruway and Rt. 17A. The area is also served by Metro North Rail out of Tuxedo, and bus transport via NJ Transit. About 40 per cent of Warwick’s residents commute. Air travel from the Warwick area is handled by Orange County’s Stewart International Airport near Newburgh. It serves Delta, JetBlue, Northwest and Us Airways airlines for both national and international flights. T he Warwick area is served by the Warwick Valley School Board and is composed of six local public and private educational systems for primary and secondary school students. The following websites by the school systems are linked below. The St. Anthony Community Hospital is a 72 bed facility in Warwick which has served the counties of Orange, Sussex and Passaic since 1937. 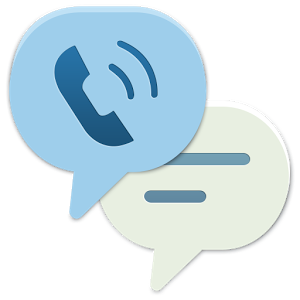 It is a primary resource for emergency, quality medical and wellness care with a variety of specialization services. St. Anthony Community Hospital, Warwick, New York is a non-profit, 73 bed hospital serving the residents of Orange County, NY, Sussex and Passaic Counties in NJ. 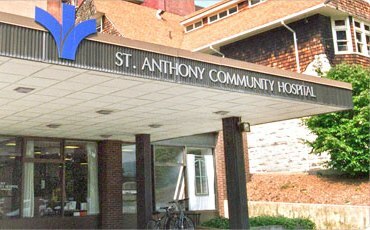 St. Anthony Community Hospital has been a primary resource for emergency, quality medical and wellness care since 1939. It is part of the Bon Secours Charity Health System. Among the specialized services provided is a comprehensive women’s health program, which includes the Kennedy Birthing Center. The new Center for Ambulatory Services offers the clinical and support services needed – all in one location. These include admitting, pre-admission screening, endoscopy, minor surgery and same-day surgery. The hospital also provides an advanced Wound Healing Center handling all aspects of wound care, including those associated with diabetes, leg and foot ulcers, auto and other accidents, surgical wounds, and burns. A dedicated Diabetes Education program has been available for several years to improve the lives of children and adults living with diabetes through a variety of support programs. The Warwick area is deep in the heart of what is known as Black Dirt Country. 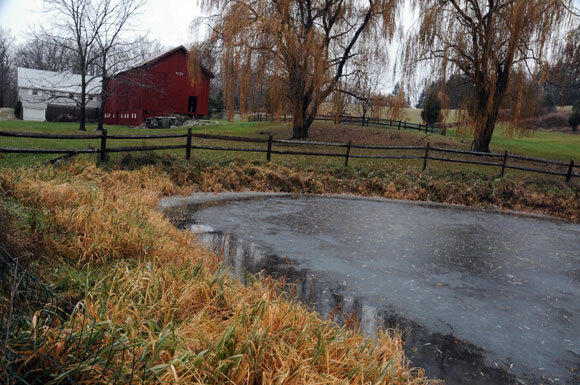 When Native Americans roamed the region, a shallow lake covered much of the Warwick Valley. Called the “drowned land,’ it proved to be extremely fertile when developed for agriculture. T oday, hundreds of active farms and orchards raise apples, grain, fresh produce and dairy products in the valley, many of which are open to visitors looking for farm fresh products. The Wright Family Farm in Warwick is open year around and offers seasonal produce, fresh baked bread and cookies, snacks, hot dogs and family-oriented fun. In the fall, the farm has pick-your-own pumpkins, free hayrides, and a corn maze. Thanksgiving weekend starts their Christmas tree season, selling a variety of fir trees, roping and Christmas goods. Another interesting farm is the Warwick Valley Winery, which has apple and pear picking along with its homemade wines and distilled gin and spirits. 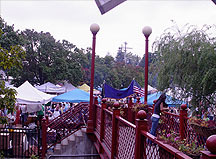 Likewise, farmers markets are a common tradition in many villages in the area. Warwick has its own weekly farmer’s market every Sundays from late May through October. W arwick is in the heart of the region’s apple growing area, so much so that they have celebrated the fruit for nearly twenty five years with Apple Fest, a legendary event that dominates the landscape for one Saturday in October. Starting as a simple celebration to support the Warwick community center in 1998, the event has grown exponentially, recently to be named one of the nation’s top 100 events, and is attended by over 30,000 visitors each year. The event features over 200 craft vendors, foods of all kinds, exhibitors, music, entertainment, a kid’s carnival, and a good old fashioned apple pie baking contest that’s right out of a Norman Rockwell painting. Although there are many events in Warwick and the surrounding area, two events have grown to epitomize the cultural ethos of the region. 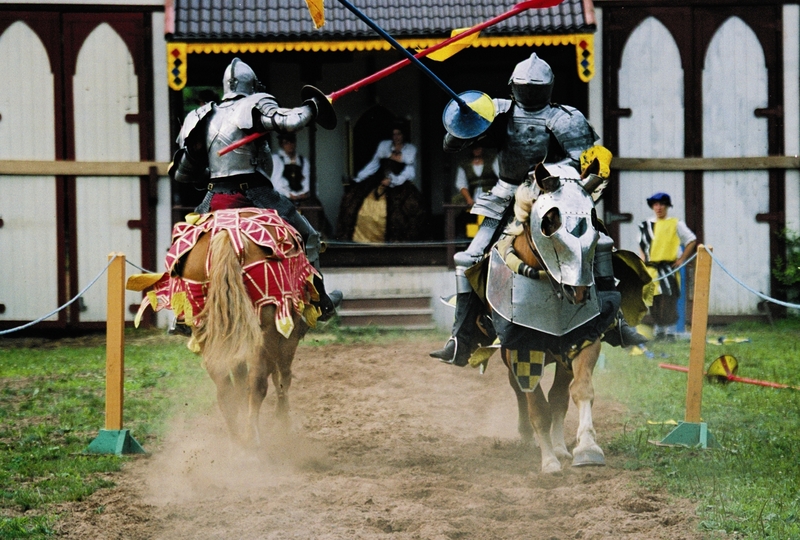 The Warwick Summer Arts Festival held in mid-July describes itself as “two days of music, dance and theatre, and is held on agricultural settings. The Annual Jazz Festival held in late August was re-named the Hudson Valley Jazz Festival because it has grown so much in popularity and scope. Just a few miles southeast of Warwick is the Village of Greenwood Lake. This pristine lake supports any recreation that can take place on the water – swimming, diving, fishing, water skiing, jet skiing, and boating by sail, canoe, kayak, paddle, motor, row, and skull. Greenwood Lake is Orange County’s largest fresh water lake. The area is also home of the Appalachian Trail, Mt. Peter skiing area, and offers easy access to nearby Sterling Forest’s Renaissance Festival, Tuxedo Ridge, the Village of Warwick, and Mountain Creek Ski and Waterpark. Greenwood Lake is surrounded by fine dining places. Some notables include Emerald Point Restaurant, with a large wrap-around front porch overlooking the lake, and the Breezy Point Inn’s restaurant. Emerald Point is a splendid place to relax, enjoy a steak or seafood dinner and sip a cocktail under the moonlight. Breezy Point Inn, on the western shore of Greenwood Lake, has long been a favorite spot of those who enjoy the combination of calming panoramic lake views and tasty German-American fare. Travel north from Warwick along the King’s Highway (Route 13) for 11 miles and you arrive at a distinctive destination: Sugar Loaf. The hamlet of Sugar Loaf is a community of creative craftspeople and artists nestled under Sugar Loaf Mountain in picturesque Warwick Valley. Surrounded by apple orchards and horse farms, it has held the distinguished reputation as a crafts community for over 250 years, Today, Sugar Loaf remains true to its heritage as the year-around home of over fifty independent artists and craftsmen. Many of these artisans live and work in the original barns and buildings which date back to the 1700’s. The village of Florida is another of those quiet little upstate communities which exude a quaint feeling of friendliness and old fashioned charm. Though small (population around 2,500) the village has its own public library, police force, volunteer fire department, several places of worship, and both public and private schools. Its downtown is comprised of a surprising variety of independently owned and operated businesses, making shopping a uniquely personal experience. Surprisingly, most day to day retail needs can be met with Florida’s retail community. Medical and dental services, hardware and lumber, specialty shops, baked goods and groceries all are available. The village also has several interesting restaurants, including Chumley’s BBQ, famous statewide for its slow cooked brisket and barbecue. Janet’s Quality Baked Goods goes “back to scratch” and uses locally produced eggs, dairy, honey and flour in its hand-shaped artisan breads and baked goods. Visitors will enjoy discovering Florida’s restaurants and shops, and residents will find a welcoming place to live and relax. The region near Warwick boasts four ski resorts. The closest, just west of Warwick along Rte. 17A on the slopes of Mt. Peter is the Mt. Peter Ski Area. In the heart of Sterling Forest State park is Tuxedo Ridge. Just 15 miles to the west along Rte. 17A and Rte 94 are the Mountain Creek Ski Area and the Hidden Valley Resort in Vernon, NJ. Mountain Creek and Sterling Forest Ski Area also offer snow tubing and both offer a variety of summer activities. The newest park in the New York State Park system is the 17,988 acre Sterling Forest State Park. Acquired in 1998 and 2001 to provide clean drinking water and preserving the natural watershed, the part provides a scenic nearby recreation place for Warwick residents. The park is criss-crossed with hiking and cross-country ski trails, and fishing is allowed during the season. T hose sickly sweet New York wines you may remember from years ago are a thing of the past inWarwick’s wine country. To be sure, if you look you can still find them, but today, you’re more likely to find robust merlots and cabernets, and fresh sauvignon blancs and chardonnays. Besides great wines, local vineyards offer a season-long schedule of entertainment, food and fun. Black Dirt Area, Pine Island, in the Frankel Sanctuary, Blooms Corners Rd., Warwick, 845-294-3674. Bird Watching at Mt. Peter, Hawk Vista, Route 17A and Cain Rd., Bellvale, NY. Call 845-477-8063 for more info! Black Bear Campground, Wheeler Rd., Florida, NY 845-651-7717. Appalachian Trail Call 212-685-9699 for the NY-NJ Trail Conference. General Riding Information: boarding, riding, lessons, tack. 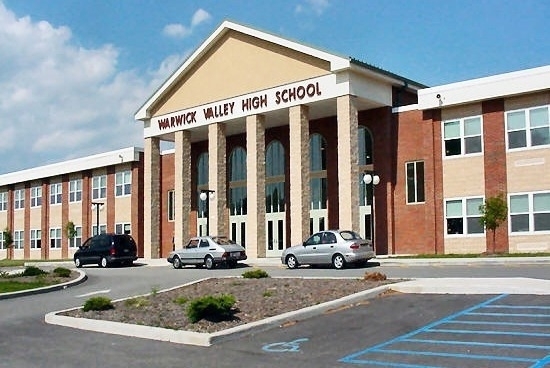 Indoor pool facilities are available to Warwick residents at WVCSD High School.